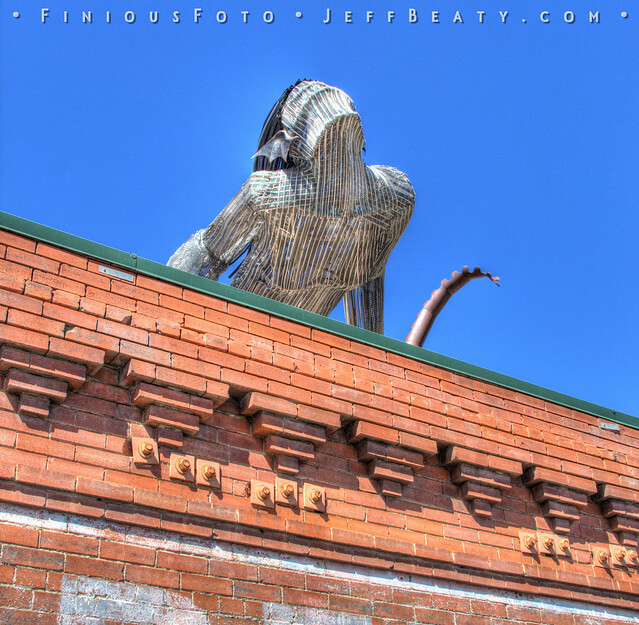 A huge, strange metal sculpture that is part mermaid, creature from the black lagoon, alien xenomorph and squid or octopus that sits on the top of a an old brick warehouse building on the border of downtown Colorado Springs, CO and Old Colorado City. It’s in a location that makes it hard to see and appreciate, being up on a building surrounded by railroad tracks, a major interstate highway and a major road overpass, underpass intersection. Have driven by many times I decided to walk by and see if I could capture some images, but most of the angles except for one side are blocked when you’re on foot. The sculpture’s placement makes it seem a strange part of the billboard in front and below it. Looking out from the top of the building like a strange aquatic version of a gargoyle. The Creature from the Colorado Springs Lagoon? 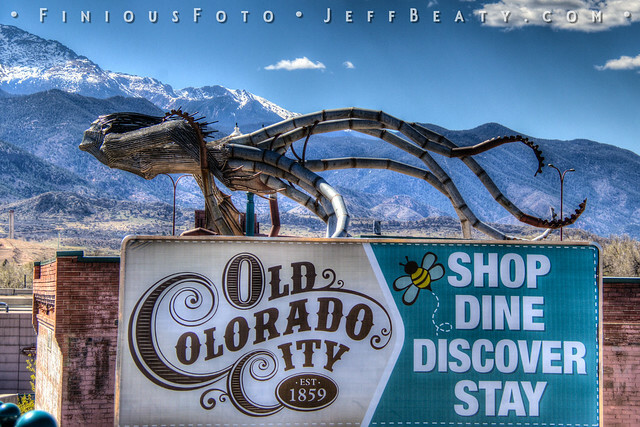 Posted on April 19, 2019 April 19, 2019 Categories Photo Diary, PhotographyTags alien, Colorado, Colorado Springs, HDR, mermaid, metal sculpture, octopus, photos, squidLeave a comment on Alien Squid Lady? From summer of 2014. Thunderstorm clouds boiling up over historic mines in Victor, Colorado. 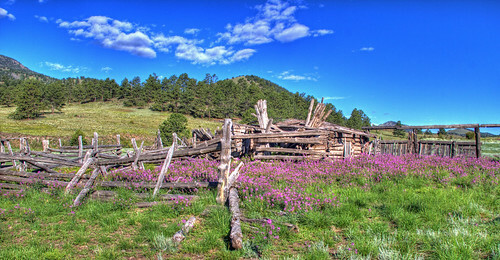 Sitting on a bench near the end of the day the other day, took this HDR photo of the Stone House at the Bear Creek Green Belt. We had been under a “wave effect” cloud pretty much all day, which you can see at the top of the photo. The sun was just setting, lighting the scene from the horizon under the stationary cloud front. Was home sick from work today otherwise would have been stuck inside unable to appreciate this. 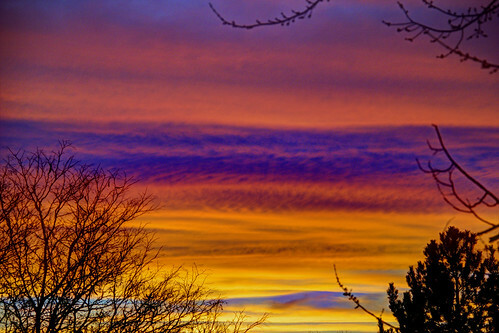 Sleeping late was woken by a text message from my mother that said: "Sunrise alert! May be the picture of the day!" How right she was. Took a 2 mile hike in South Valley Park with my camera at the end of a breezy but warm winter day. Some of my favorite shots in a long while resulted. Here’s some of the best. View a slideshow of this set below. Or you can go direct to this set on Flickr.